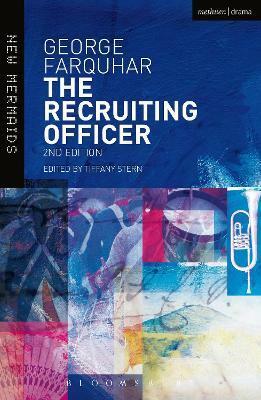 This completely new edition of The Recruiting Officer contains a freshly-edited play text, with new annotations, in modern spelling. Tiffany Stern's comprehensive and engaging introduction discusses the author's career and gives a history of the play including its staging, critical interpretation, date and sources, putting it its context of the late Restoration and illuminating its theatrical vivacity. Farquhar's The Recruiting Officer is set in Shrewsbury in 1704 and describes what happens in a country town when the army come to stay. With cross-dressing and confusion in plenty, this is a comedy exploring the timeless themes of love and war. One of Farquhar's last two plays, The Recruiting Officer is both entertaining and touching. It has a light, humane touch and its original depiction of a real-life provincial town comically explores the impact that ongoing warfare had on its civilian society. The editor, Tiffany Stern, is Professor of Early Modern Drama at Oxford University. She is a General Editor of the New Mermaid Series, and is author of Rehearsal from Shakespeare to Sheridan (2000), Making Shakespeare (2004), Shakespeare in Parts (co-written with Simon Palfrey, 2007), and Documents of Performance in Early Modern England (2009).